The specific treatment plan needs to be determined by your doctor after a thorough examination but research and experience tells us that optimal results occur somewhere between 15-25 sessions, 2-3 times per week, over a 4-8 weeks time span. We have several different treatment packages that you may want to choose from. We hold firm in our belief that the patient is the captain of their ship and has the right to choose exactly what level of treatment they desire. Our decompression services are provided in conjunction with some of our other therapies offered here in office. We approach treatment of a condition through focusing on the tissue damage, pain generator, and the underlying cause. Each of these are treated with therapies specific to that issue and we have several different ways of combining them all that is the most specific and effective for your case management. These packages are all dependent on your specific needs and whether the doctor feels that it is indeed indicated in your case. IT IS OF UTMOST IMPORTANCE THAT NO PATIENT EVER FEELS PUSHED, PRESSURED, OR SCARED INTO TREATMENT OF ANY KIND. We make your treatment affordable. We have several different payment plans in order to make our cutting edge, top notch treatment as accessible to you as possible. 1. Payment at Time of Service. 2. Advance Payment for Several Visits. 3. Care Program Package With Advance Payment Discount. 4. 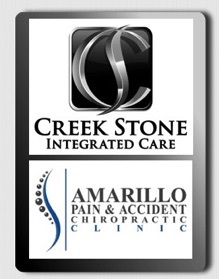 Health Care Financing Through a Special Program With Amarillo National Bank. Be sure to call us with any questions!